Here in Jacksonville Beach, FL, our team is proud to excel in a wide range of dental services for the sake of your oral health and confident smile – but focusing on these areas wasn’t enough for Dr. Scott Wagner. He also strives to improve your overall well-being, eliminate chronic pain/discomfort, and better your day-to-day quality of life however possible. As an LVI-trained Fellow and Clinical Instructor, patients can trust in Dr. Wagner to always have their best interests at heart. With specialty services like TMJ treatment, sleep apnea therapy, neuromuscular dentistry, and TENS & K-7 treatment, we hope to give you more reasons to smile than ever before. If you suffer from a stiff and painful jaw, chronic headaches, or persistent neck and shoulder pain, the source of your problem could actually be a strained or misaligned TMJ. Your TMJ, or temporomandibular joints, are the small hinges on your jaw located in front of your ears, and problems with them can easily lead to overall health issues involving your mouth, head, neck, and beyond. At Eccella Smiles, our team is fully trained and equipped to diagnose and treat this kind of issue so we can get you the relief you need. 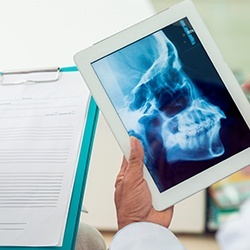 Neuromuscular dentistry is a field of study that looks at the teeth, jaw, head, and neck as one interconnected unit in order to better understand, diagnose, and treat dental problems. 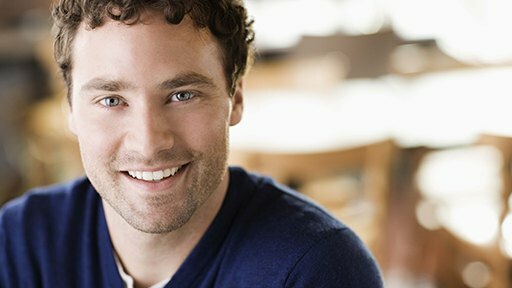 With this approach, rather than simply fixing a dental problem, Dr. Wagner will take the time to find the root cause of the issue, which often lies outside of the mouth. This will create long lasting results that also provide patients with better oral function over time. 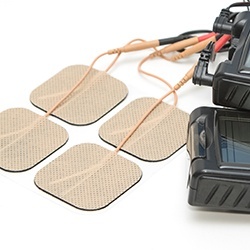 Our practice is dedicated to using the latest technology to ensure our patients only receive the highest-quality care. With the K-7, we can find the ideal resting position of the jaw for a TMJ patient, and with the TENS machine, we can use small electronic impulses to gently massage the pain away. With these devices, we can efficiently sooth TMJ pain and quickly relieve chronic tension without needing invasive surgery. Do you feel exhausted during the day even when you’ve slept through the entire night? If so, you may be suffering from sleep apnea. Fortunately, you can get effective treatment thanks to your dentist using just a small, custom-made oral appliance that you’ll only need to wear to bed. With it, you’ll be able to breathe comfortably throughout the night and wake up feeling refreshed again. This approach can also help those patients who are sick of their CPAP machine! As you go about your daily life, oxidative stress is constantly generated by the essential actions we all take part in, including eating, sleeping, exercising, and even breathing. This condition occurs when the cells generate free radicals, which are dangerous byproducts that can search for and destroy healthy cells throughout the body over time. 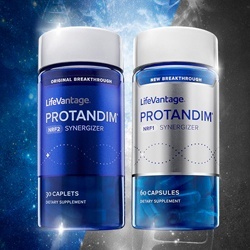 Thankfully, our practice offers Protandim. This helpful supplement combats and significantly reduces the presence of oxidative stress by regulating “survival genes” that enable cells to stand up to the threat. Your body function will be more optimal than ever! At ECCELLA, we want our practice to be a welcoming, comprehensive home for patients in need of modern care and highly-trained expertise. You’re always our team’s top priority, and we’ll work hard to exceed your expectations. Contact us today to learn more about your dedication to your wellness, or to schedule your first appointment.